Detroit Saturday, Chicago Sunday, Bring it! The Vatican Warlock Assassin debuts his live show this weekend. 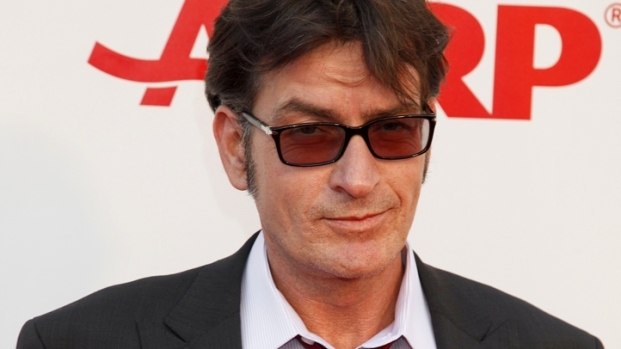 Fastball: Charlie Sheen’s 20-city live show kicks off Saturday in the Motor City. Trolls are advised to stay home. The ex-“Two and a Half Men” star turned "unemployed winner" and "warlock" will bring his two live-in “goddesses” and rapper Snoop Dogg to Detroit’s Fox Theatre Saturday, he told a local radio station. Sheen’s “My Violent Torpedo of Truth/Defeat is Not an Option” tour will then roll though Chicago on Sunday. While the specifics of what Sheen has planned is unclear, his publicist told The Associated Press the 90-minute performance will feature music and a multimedia presentation. Sheen said in an interview with Detroit’s WKQI-FM that Snoop Dogg would also be on hand for the Fox Theatre show and he’d selected two Detroiters as winners of a YouTube contest to perform “The Star Spangled-Banner” on stage. Kelley Jean is the owner of an adult-themed website, the Detroit Free-Press reported. The other singer, Lisa Jacques, is a college student, according to the paper. Sheen also reportedly told another college student, Heather Pachota, that she’d scored an "internship." Sheen has also unveilled a a special website where fans can ask “about his career, the tour, or his future goals and plans.” The site says that Sheen “may pick your question to answer” during his show. While the actor has boasted of selling out his Detroit show, more tickets were later released and are still available, the Free Press reported. As for what Sheen has planned with Snoop Doog, the rapper said on "Lopez Tonight" Thursday the pair had been “trying to put some music together” in studio, E! News reported. "He's a brilliant guy. I'm having so much fun just being around him,” Snoop said. "I love having relationships with different people who aren't the normal, who aren't the usual. One thing about Charlie, he's not normal, he's not usual." Stay tuned for how it all shakes out.